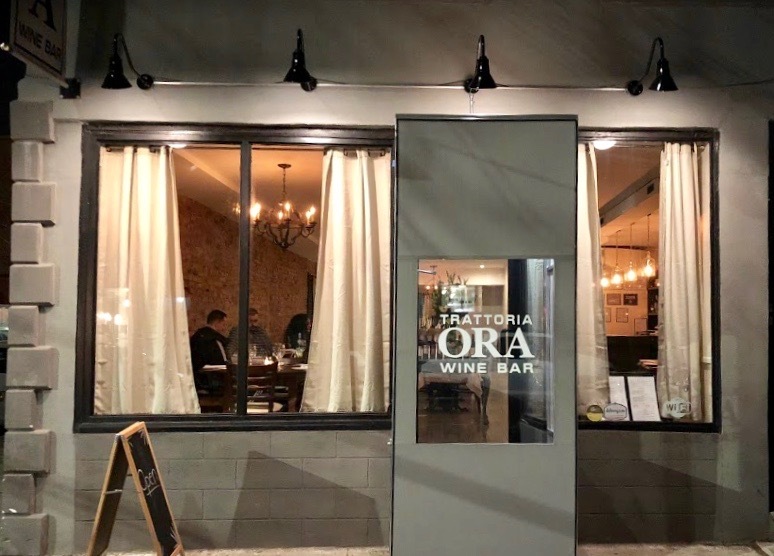 The far western reaches of Astoria continues its slow pace of change with the new restaurant Trattoria Ora Wine Bar. Back in December a reader asked us about it and after a lot of research we could find nothing online about them, so it got put on the back burner. But recently a friend of mine posted about it on Facebook and, judging from the photos, I was pleased to see how nice a place it is. 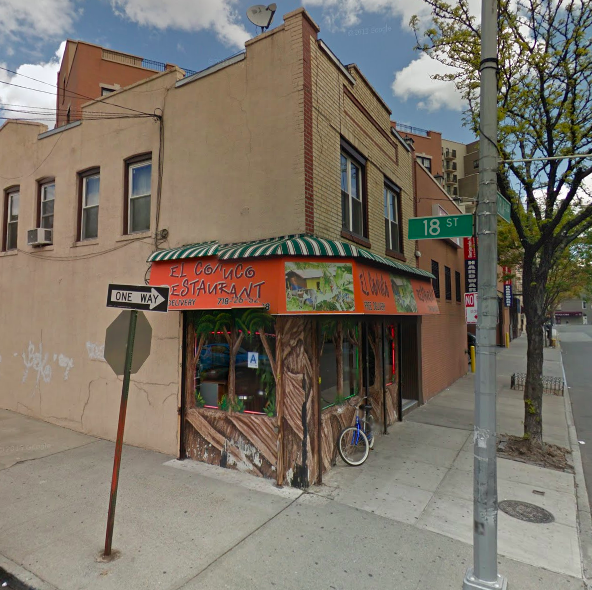 The location, 18-01 Astoria Blvd, used to be home to a series of Latin spots over the years—Bonao Tropical Restaurant and then later El Conuco—one of the best parts about the location then was the decor on the outside, which made it stand out from a lot of the other places (I used to have a photo but can’t find it, so a Google Maps screenshot will have to do). I remember walking past there after a late meal at Astor Bakeshop or a drink at Hell Gate Social and hearing music coming out of El Conuco and people enjoying a chill time at the bar. Eventually El Conuco blanded out their exterior and covered it in boring grey stucco. I guess that was the beginning of the end. As far as Trattoria Ora goes, they’ve been open since mid-January. Their space consists of a longish dining room with a dark wide wooden slat floor, and L-shaped bar on the left that seats 8-9 people. Table seating is around 40-45 people. There is exposed brick on the right wall. The warm lighting gives it a cozy feel. My friends loved their first meal there and have returned to explore more of the menu, which includes simple yet tasty contemporary Italian dishes of pasta, meats, seafood, vegetables, and also dessert. And plenty of wine, of course, since it’s a wine bar—some choice bottles are displayed on tables as you enter the restaurant. Trattoria Ora joins a number of eateries that have opened that offer a more contemporary vibe, including Astoria Provisions and the soon to open Arcadia Bar & Kitchen, and also the aforementioned Astoria Bakeshop and Hell Gate Social, who made their mark on this western section of Astoria Blvd while they were still in business (we still miss them). The area continues to change with the arrival of the Astoria ferry dock, the ever growing popularity of the visually stunning Welling Court Mural Project, Two Coves Community Garden, and more housing developments going up—established buildings like The Pillar and Graffiti House, as well as the new 47-unit building coming to 8-29 Astoria Boulevard, and a new 29-unit building coming to 11-16 Main Avenue. It’s all a sign that things continue to change in Astoria. But we don’t expect things to completely change overnight. The area is still a big center of manufacturing and wholesale businesses (for instance, our friends at Aloria Cakes are in the neighborhood). We hope the neighborhood embraces Trattoria Ora and they enjoy much success in this western pocket of Queens.